LOMA LINDA, CA — April 12, 2018 — Inland Empire athletes of all ages and abilities are invited to participate in the 16th annual PossAbilities & Kids Triathlon, which will be held at 7 a.m. on Sunday, April 29, at Loma Linda University Health Drayson Center, 25040 Stewart Street. Paralympics hopeful Zimri Solis, a 35-year-old runner from Highland, belongs to that latter category. Last year, he set a personal best time of 1 hour and 21 minutes but hopes to finish the course — which includes a 3.1-mile run, walk or roll course, an 11-mile bicycle course, and a 150-yard swim course — much faster this year. April 20 is the deadline for mail-in registration, and April 27 is the deadline for online registration. Registration forms and additional information are available at teampossabilities.org. PossAbilities is a free, non-profit, community outreach program operated by Loma Linda University Health. The goal of PossAbilities is to provide those with permanent physical disabilities support and resources to stay active and healthy in life. 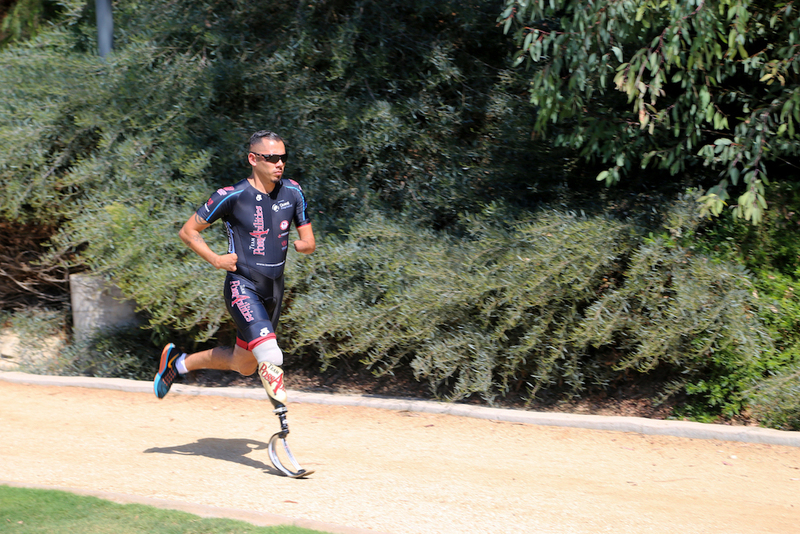 PHOTO CAPTION: Paralympics hopeful Zimri Solis, of Highland, California, will participate in the 16th annual PossAbilities & Kid's Triathlon, which will be held in Loma Linda on Sunday, April 29.